The group carried the makeshift stretchers holding Turenim and Tharden down the trail from Wave Echo Cavern towards Phandalin and argued about what to do about the army of orcs. As previous light drizzle turned to snow, Albrecht noticed that both Moula and Atilius looked a sickly shade of green. He tried to heal them, but it didn’t work. After further investigation, it was concluded that the spider’s bites had poisoned them. Julious cast lesser restoration on Moula and Atilius and they returned to their normal selves as the poison disappointed. Continuing on they realized that they were surrounded on three sides by an orc scouting party that appeared not to notice them. 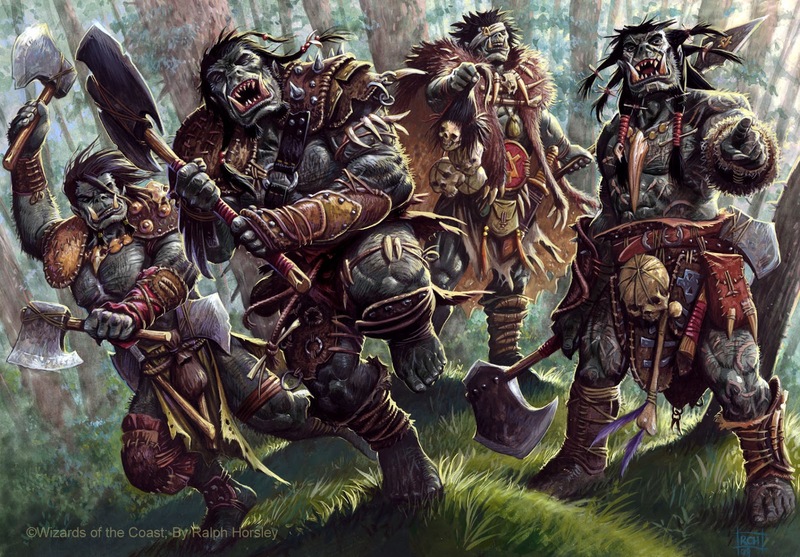 The scouting group included two orcs in front of the group and three on each side. The scouts in the front were the closest and also seemed to be the easiest to surprise, so the group set down the stretchers of Turenim and Tharden and left them with Nundro, knowing that he would probably not be joining the fight. They then snuck up behind the two orcs in front of them and dispatched one incredibly quickly. Turning to the other, they were surprised to see that it hadn’t even noticed the quiet fall of its companion. Killing the second orc took a bit longer, and when it died, it let out a yell that alerted the rest of them. They turned to the first group of approaching orcs and with minimal effort killed the first two orcs of the three before the other three orcs reached them. After a short battle, all the orcs were dead. 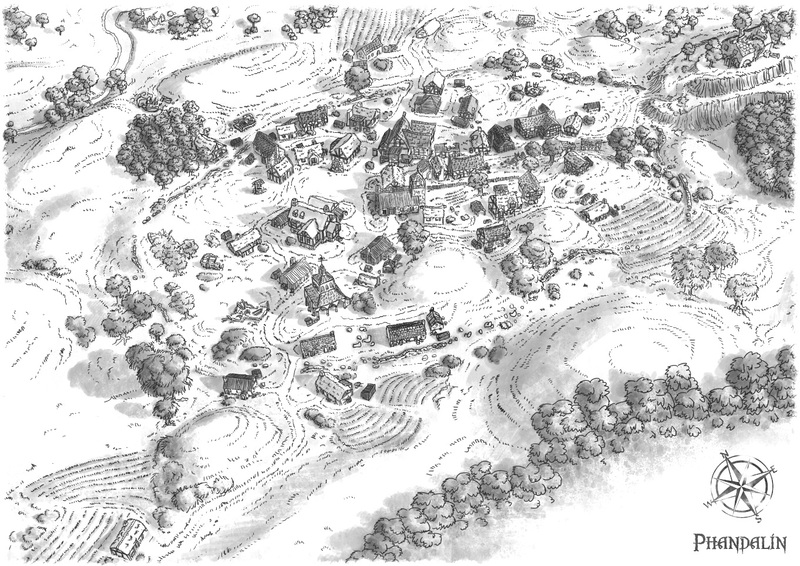 They saw that in the struggle, Nundro had begun to drag Tharden’s stretcher down the trail towards Phandalin, but had not gotten more than a few feet and Nundro already looked very strained. They picked up Turenim’s stretcher and helped Nundro with Tharden’s, while thinking about whether to fight more orcs or to get to Phandalin as quickly as possible in order to alert them of the orc army’s approach. Eventually they decided that they would fight as many orcs as they could and then go to warn Phandalin. They again put down their fallen companions, but this time covered them in brush so they were not injured during the fight. Then the group waited for the next group of orcs to arrive. After a short wait they saw the next group approaching. Julious transformed into a wolf and everyone readied their weapons. There were slightly more orcs here than there were in the first group, and as soon as Atilius started firing at them with firebolts, which he did at over 200 feet away, they noticed the group, which put them at an obvious disadvantage from their fight with the first group of orcs. After a few firebolts, the orcs started throwing their javelins back at the group. Pippin started firing his shortbow and Lee his crossbow. Once in melee range, the rest of the group began attacking the orcs and the orcs laid aside their javelins and drew battle axes and shortswords. The fight was not long, and soon the threat was eliminated. The adventurers decided that they could not take on another band of orcs, but realized that going to Phandalin now while carrying their friends would not give the town enough time to prepare, so after a long argument they sent Moula to Phandalin alone since she was much faster than anyone else. 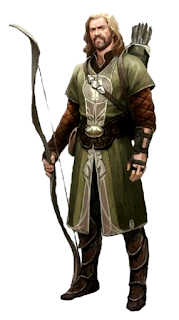 The group didn’t have to worry about warning the town anymore, but still didn’t feel up to fighting more orcs, especially without Moula, so they headed to Phandalin carrying the stretchers. Alone, Moula headed down the trail to Phandalin, running for as long as she could and then walking until she caught her breath. She came upon a small stream and was about to cross when she noticed a tripwire in the water. She made her way across, careful not to trigger the obvious trap. Awhile later, she heard the noises of a pack of wolves ahead of her. Realizing that they had not noticed her yet, Moula snuck around them through the woods and came out on the path again on the other side. Not long after, she saw the lights from town of Phandalin on the still-dark horizon. Meanwhile, on their way along the trail to Phandalin, the group came upon irregularly large tracks on the snowy trail and Lee tried to identify them. Pippin stepped in the tracks and followed Lee. Pippin felt a stabbing pain in his calf and looked down to see a disembodied green arm clawing into his leg. He quickly pulled out his shortswords and stabbed it until it went limp. Looking around, Lee saw a troll come out of the forest surrounding the trail. After a quick encounter, the troll was too injured to fight, but it was regenerating. Atilius repeatedly cast firebolt and the troll stopped moving. He cast firebolt on the arm as well. Pippin dug his hands through the ashes, confirming there was nothing left of the troll. As they were walking down the path, they crossed a small stream, but on their way Lee, who was leading the group, triggered a tripwire that caused a net to fall on them. Most of them managed to get out of its way, but Albrecht and Julious were trapped. However, it didn't take very long for the rest of the party to untangle them. As they were removing the net, Lee saw a group of people approaching them. As they moved closer, he identified them as three men and a woman. One of the men was extremely muscular and was holding a cart, and a different man and the lady appeared to be twins. The fourth was armored and carried a mace. “Who are you,” the armored man asked. “As a matter of fact, we have. We killed one a short while ago. But you may want to turn back the way you came. There is an army of orcs behind us, and we suspect that there are more coming on other trails. They are headed for Phandalin!” Lee said. “Shouldn’t someone warn the town?” Lebon asked. “We already sent someone,” Lee replied. ”She is insanely fast,” Pippin added. “She? You only sent one person! How do you know they arrived safely?” Larn was incredulous. “We are confident in her abilities,” Atilius argued. “It doesn’t matter how confident you you are! She could die and the fate of Phandalin would die with her!” Lebon exclaimed, “We are going to make sure that the message makes it to the town master’s ears!” And the Wolves turned and ran off. In town, Moula rushed to the town master’s hall and woke Sildar. She told him how Turenim was dead and that there was an army of over 100 orcs coming to Phandalin. Then, she helped Sildar alert and rouse the town. When preparations were fully underway, she left to go help the rest of her group. Not long after, she encountered a band of four humans, who introduced themselves as the Wolves. “Oh, so you are the one they sent to warn the town,” Lebon realized. They went their separate ways and after a short time Moula reached the rest of the Lost Minds. 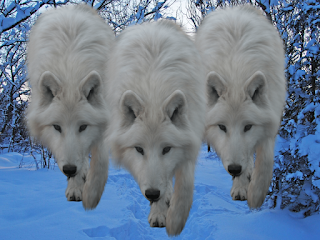 Around an hour later, as the group was heading down the trail back to Phandalin, three unnaturally large white wolves ran up the path toward the group. While Nundro continued to drag Tharden down the trail, the group readied their weapons. As the wolves charged, they all attacked the lead wolf. In return, it breathed ice on the entire group, dropping Atilius and Lee. 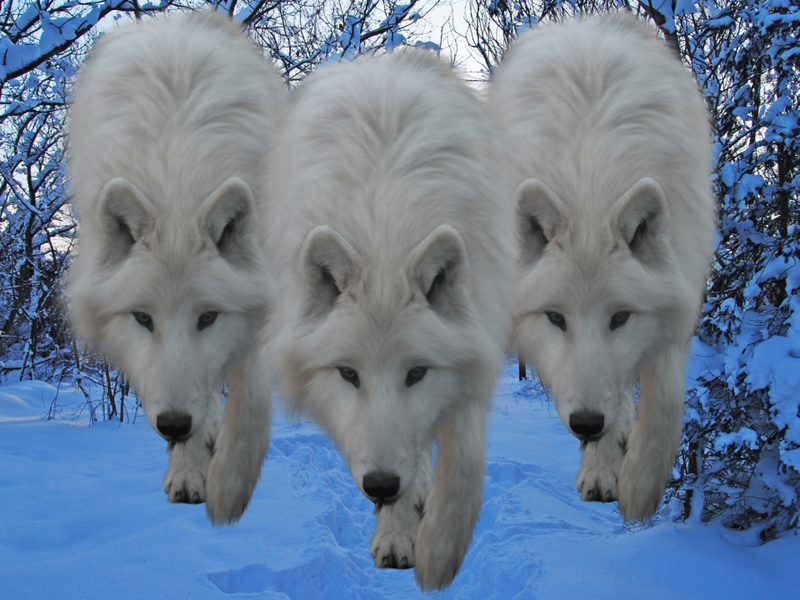 After the group killed the front wolf, the other two magically disappeared. Julious cast cure wounds on Atilius and Lee, reviving them, and the group kept going. Dawn was breaking as the group approached Phandalin from the south. As they approached the gates, they saw that the town was blanketed with almost a foot of snow, but it was now tapering off.